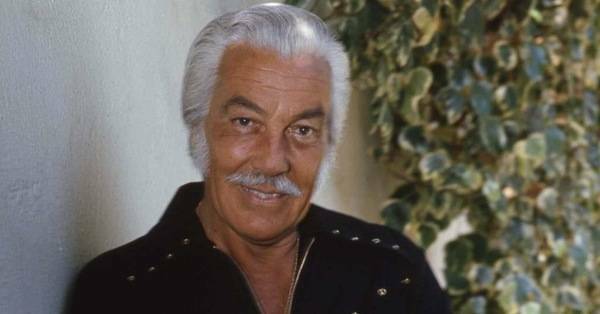 Cesar Romero was born today, February 15, in 1907. He was an actor, singer, dancer, and vocal artist. He was active in film, radio, and television for almost 60 years. His wide range of screen roles included Latin lovers, historical figures in costume dramas, characters in light domestic comedies, and the Joker on the Batman television series, who was included in TV Guide's 2013 list of The 60 Nastiest Villains of All Time. Romero was born in New York City. His mother was said to be the biological daughter of Cuban national hero José Martí. His parents lost their sugar import business and suffered losses in the Stock Market Crash of 1929. Romero's Hollywood earnings allowed him to support his large family, all of whom followed him to the American West Coast years later. Romero lived on and off with various family members (especially his sister) for the rest of his life. On October 12, 1942, he voluntarily enlisted in the United States Coast Guard as an apprentice seaman and served in the Pacific Theater of Operations. He reported aboard the Coast Guard-manned assault transport USS Cavalier in November 1943. According to a press release from the period, Romero saw action during the invasions of Tinian and Saipan. At 6'3", Romero routinely played "Latin lovers" in films from the 1930s until the 1950s, usually in supporting roles. He starred as the Cisco Kid in six westerns made between 1939 and 1941. Romero danced and performed comedy in the films he starred in opposite Carmen Miranda and Betty Grable in the 1940s. In The Thin Man (1934), Romero played a villainous supporting role opposite the film's main star William Powell. Many of Romero's films from this early period saw him cast in small character parts, such as Italian gangsters and East Indian princes. Romero had a lead role as the Pathan rebel leader, Khoda Khan, in John Ford's British Raj-era action film Wee Willie Winkie (1937) and The Little Princess (1939) alongside Shirley Temple. He also appeared in a comic turn as a foil for Frank Sinatra and his crew in Ocean's 11 (1960). From 1966 to 1968, he portrayed the Joker on Batman. 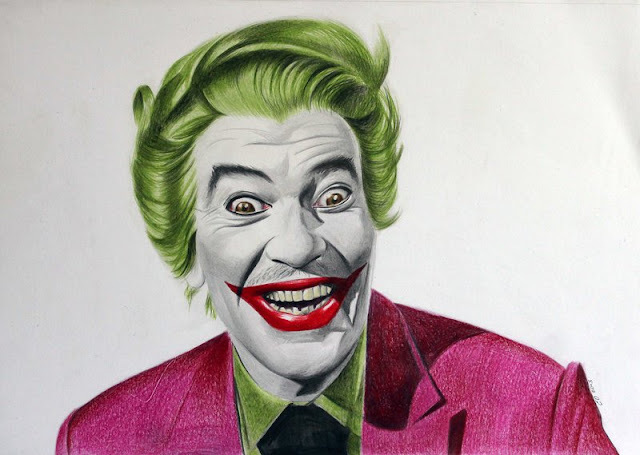 He refused to shave his moustache for the role, and so the supervillain's white face makeup was simply smeared over it throughout the series' run and in the 1966 film. His guest star work in the 1970s included a recurring role on the western comedy Alias Smith and Jones as Señor Armendariz, a Mexican rancher feuding with Patrick McCreedy (Burl Ives). He appeared in three episodes. Romero later portrayed Peter Stavros on Falcon Crest (from 1985–1987). He also appeared in a sixth-season episode of The Golden Girls, where he played a suitor named Tony Delvecchio for Sophia. 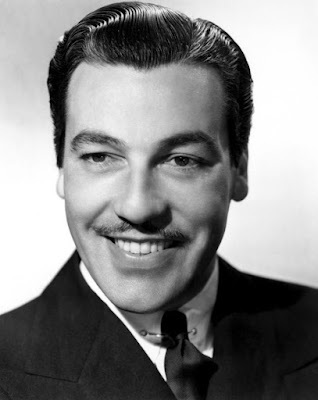 Romero never married and had no children, but made frequent appearances at Hollywood events escorting actresses, such as Joan Crawford, Linda Darnell, Barbara Stanwyck, Lucille Ball, Ann Sheridan, Jane Wyman and Ginger Rogers; he was almost always described in interviews and articles as a "confirmed bachelor". Romero talked with author Boze Hadleigh about being gay in a series of interviews, which were published in 1996 - 2 years after his death -- in his book Hollywood Gays. On January 1, 1994, aged 86, Romero died from complications of a blood clot while being treated for bronchitis and pneumonia in Santa Monica, California. The absolute best of all the Batman villains! Even before 'Batman' I'd been aware of his name, probably because it was so unusual, whilst knowing next to nothing about the man himself. You've now most helpfully remedied that. Thanks.